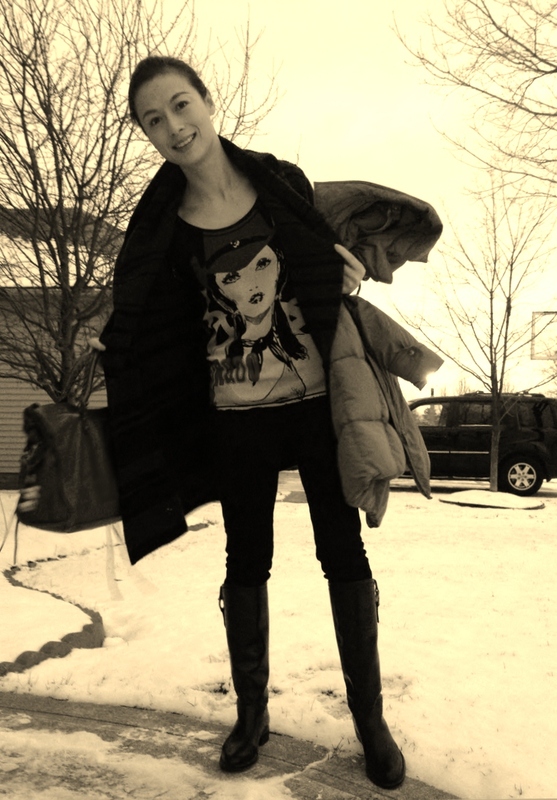 It is very hard for me to step out of my comfort zone for winter "fashion" : boots+skinny pants/jeans+ big sweater+coat. I do want to dress in different ways, for example: shorts/mini skirts with oversize sweaters, flare pants with cropped tops.... however, 8 out of 10 times, I changed back before I headed to work........ hopefully, in this year, I can improve! Sometime, stepping out of the comfort zone can give ourselves a totally new look! Well, I am alos bored at those basic colors in my winter wardrobe, which is full of black and grey. So I decided to pull out one of my summer shirt (from Custo Barcelona) and layer it with this Vince cardigan. Hopefully, the vivid pattern/color of this shirt can bring the whole "boring" outfit a little bit fun. I like your style, you looked fabulas. I started excersie now inspired by you and Amanda. I need to loose 23lb hoping I can. It is Balenciaga city, the color was discontinued, called pomegranate. It was $1450, and now is $1450-1550. I like the idea of adding a bit color to the winter outfit. I bought two Add Down coats this winter (a long and a short one). I learned about this brand from reading your blog. Thank you! I love this brand. Stylish and good quality! I am asking some suggestions from you girls. I am planning to buy a bag for my coming birthday, but haven't decided which brand to go. I prefer balenciaga bag becuase I like soft leather, casual style and bright color. I am short (5'2''), and don't know whether first or city fits me better (there is no locol store in my area, so I have to buy online). Another thing I am concerning is that my working environment is just like Yuan's, but more conservative. 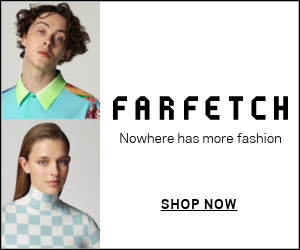 That means I want to be fashion but not too much. so, based on my situation, any suggestion? I would not buy first, way to small even for your figure. I am 5'4'' and Amanda is 5'3'', so there is no big difference between us. I saw girls using first, and I always think first only serves the purpose of a cross-shoulder bag. In addition, Balenciaga is absolutely okay for my working environment. It is cool, stylish, but not that eye-catchy. People loves fashion know it is a good bag; people doesn't care about fashion, it is just a leather bag, not LV not Chanel.... very low key. Other choices can be YSL muse, downtown or Mulberry or PS (as shown in wendyslookbook). Chloe has nice bags too! I am happy you found cool winter coats!!!! Yes, Add Down has some nice down coats, fits really wear. And its price is not as steep as burberry's. Happy shopping... and happy chinese new year. Thanks so much for your quick reply. I re-red your old poster about the Balenciaga bag, and got many informations from it. Do you have any suggestion on color? You have two colors, the red one definately is an eye catcher. It goes very well with your winter clothes. I know you have many pretty bags, which one you use most in your daily life? For daily basis, LV neverfull, Marc Jacobs,Balenciaga and YSL muse are my choices for work, depending on my outfit. Mulberry, Balenciaga, LV neverfull, LV cross shoulder and Chanel quilted tote are my choices for travel. Chanel classic flap, Chanel quilted tote, LV clutches are choices for shopping and dining out. So it is hard for me to say which is the most useful one. They do serve their own purpose. But now, I like to buy a bag, roomy and allowing me to get my hands free. I just made the order, city, the same color as yours. I am intersting in red city too. where did you buy? How much ? what is the size ? I bought the gray not the red one. Honestly speaking, I like city red. But both me and my husband thought city red is too eye-catching; it's good for shopping, party and travel. I still like the red one, usually I wear black so I think red one may better for me .